No, I haven’t gone quiet or run out of things to say (hardly!) 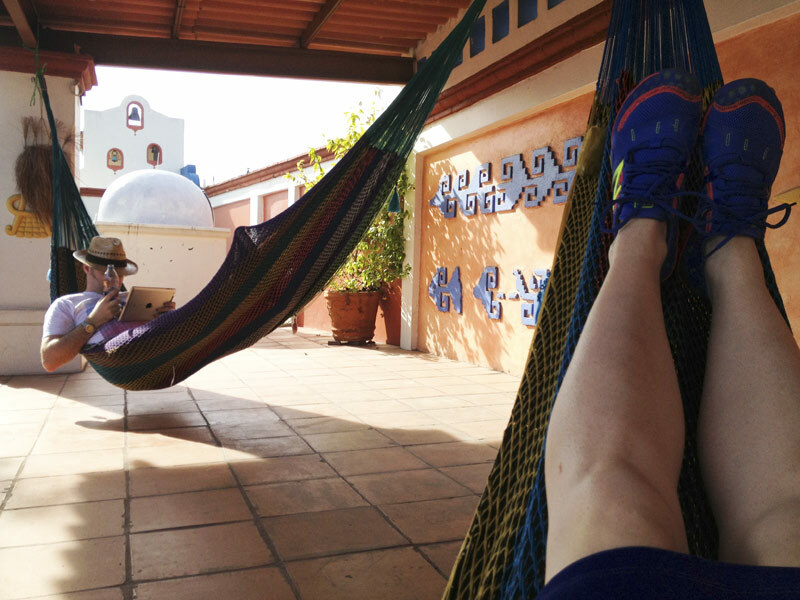 – I’ve been travelling through Mexico for the past three weeks! We started in Mexico City then ate our way through Puebla, Oaxaca, San Cristobal de las Casas, Palenque, Merida, culminating on the beach at Playa del Carmen. I’d brought some running kit along, but I wasn’t really sure when I’d get an opportunity to run, and it didn’t seem like the wisest idea to head out on my own in unfamiliar cities with added altitude to deal with, too, and besides, I’m on a scheduled break, so I was more concerned about enjoying my holiday! As it turned out, I only got one run in on the very last morning, but having a stinking cold for most of the trip was a major factor, too! So what kind of cross-training did I get up to while Not Running? 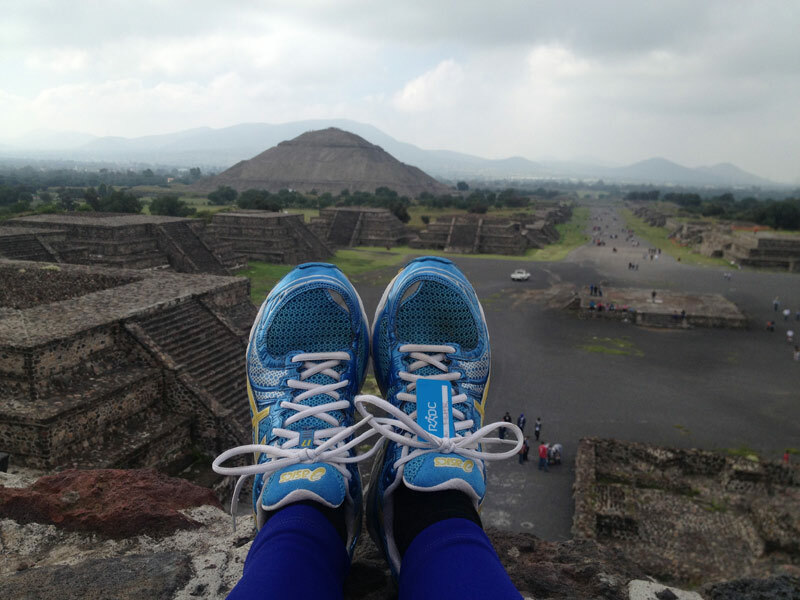 Well, I climbed a lot of pyramids (like these two at Teotihuacan)! 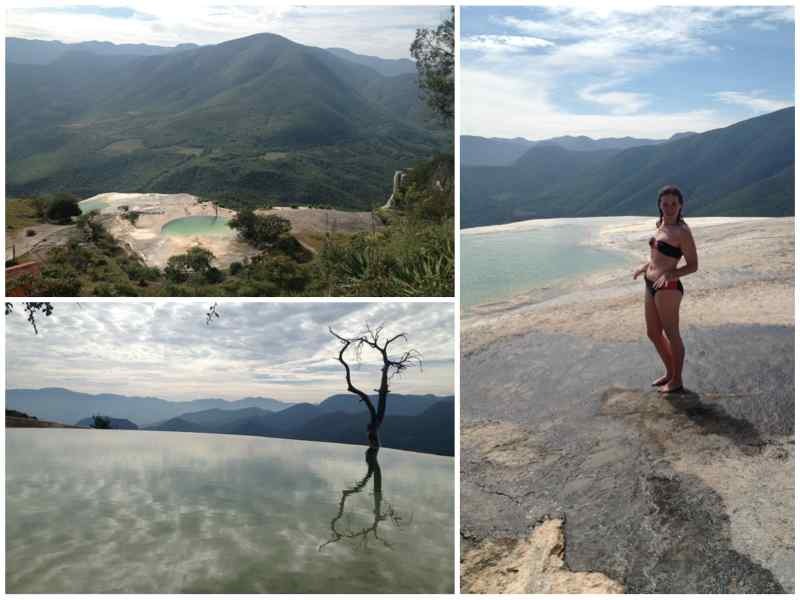 I did more swimming than I have in the past five years combined, including one session at the most stunning natural infinity pool near Oaxaca (Hierve el Agua)! 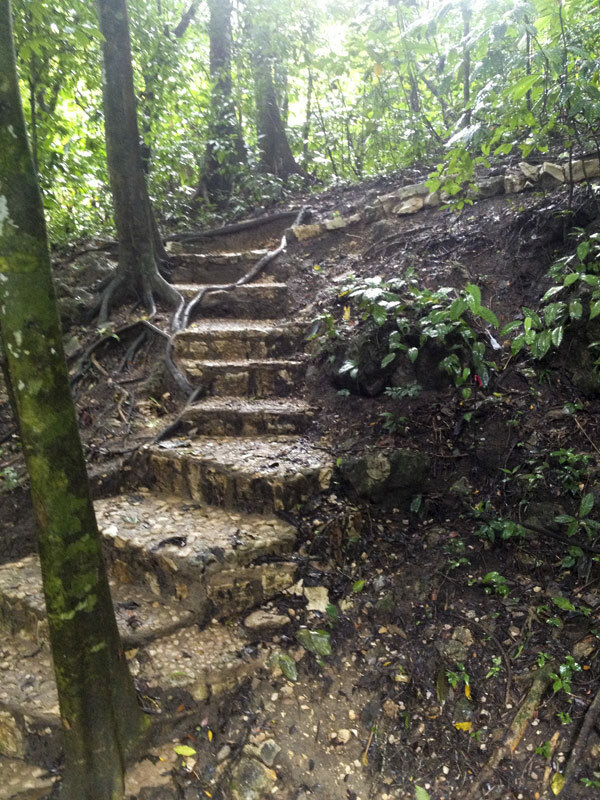 In addition to the usual crazy amounts of walking you do as a tourist, we also had a guided jungle walk at Palenque that featured terrain that made me want to burst into a run and explore! 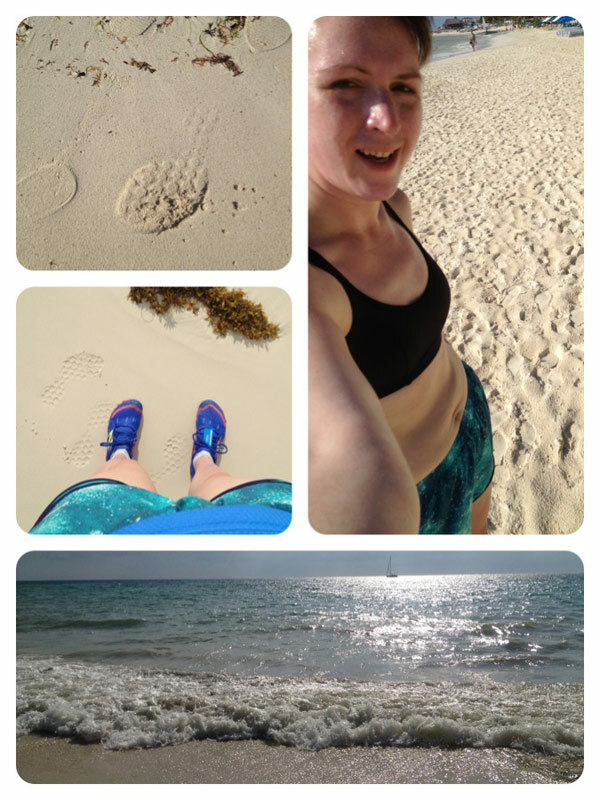 And finally, as part of my tried-and-tested eastbound jetlag prevention, I went out for a sweltering 5km run along the beach at Playa del Carmen the last morning. Even at 9am in October it was 30+ degrees and full sun and I had to strip down to my bra and shorts! I’m pleased to report that the change of scenery, food, and training seems to have done me good, plus the added walking mileage in my new barefoot trainers has helped strengthen up my weak feet, too. I curiously stepped on the scale when I got home and to my shock and amazement, I actually lost 2kg! And I did not hold back on the gorgeous Mexican food, cakes, chocolate, mezal, pina colada, etc etc while I was there either… It’s a bit of a mystery. 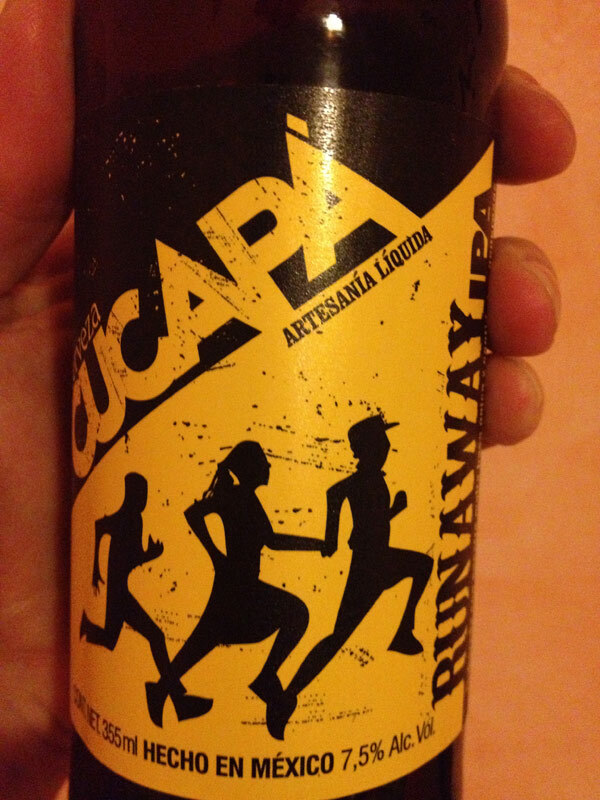 And finally, I couldn’t resist buying a bottle of this “Runaway” microbrew beer when I saw it! Rather tasty served chilled from an ice-filled hotel sink, too (aka “ghetto fridge”)!